A lot of us got into technology because we believe it can be a decentralizing force that puts more power in people’s hands. (The first four words of Facebook’s mission have always been “give people the power”.) Back in the 1990s and 2000s, most people believed technology would be a decentralizing force. But today, many people have lost faith in that promise. With the rise of a small number of big tech companies — and governments using technology to watch their citizens — many people now believe technology only centralizes power rather than decentralizes it. The post stops short of stating anything concrete about Facebook and Zuckerberg’s plans for cryptocurrencies, although it’s almost impossible to read it without inferring that there’s something big in the works. What shape that ultimately takes — integrated crypto-based payment wallets, the purchase of an exchange, the launch of a new Facebook token or ICO — is anybody’s guess. If nothing else, the post serves as a clear signal that Facebook has its gaze firmly set on doing something in the cryptocurrency space in the near future. That’s not as farfetched of an idea as it may seem, as Facebook is already operating as a kind of bank. In 2015, the social media company unveiled Facebook Payments, a social payment platform that allowed users to send each other money through the Messenger platform. In late 2016, the company acquired payment service licenses in Ireland, sparking concern that Facebook was moving to establish itself as an online bank in the E.U. Given that many banks across the globe are investigating cryptocurrency and blockchain solutions to make their operations more efficient, Facebook may actually be playing catch up to an industry that is already well aware of the disruptive potential of virtual currencies. The timing of the post is noteworthy, as it follows recent reports of a purchase of “$15 million to $20 million of bitcoin” by Peter Thiel’s Founder’s Fund. In addition to being one of Facebook’s first investors, Thiel is also known for co-founding an internet-based payment system you might have heard of: PayPal. 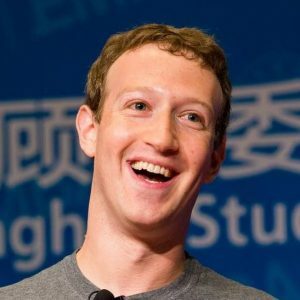 It’s not clear if there is a connection between Zuckerberg’s post and Thiel’s massive bet on bitcoin — Thiel’s interest in cryptocurrencies appears to date back to 2012, well before the topic was the buzz of the financial world — but it does hint that the major players in Silicon Valley are looking to move into the space. Given Thiel’s early and avid support of President Trump, this pro-cryptocurrency influence might even extend into the White House. Ironically, Zuckerberg’s post once again puts him in the awkward position of following a trail blazed by the Winklevoss brothers. The “Winklevii” sued Zuckerberg in 2004, claiming that he stole their plans for social networking site, a case that was ultimately settled for a reported $65 million. In the years since, the Winklevoss twins have become major players in the cryptocurrency world, and are perhaps best known for founding Gemini, one of the first legally recognized bitcoin exchanges in the U.S.